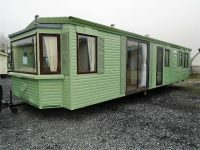 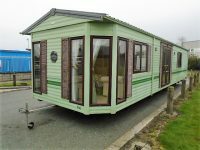 Lovely condition, 5 berth family caravan 505 . 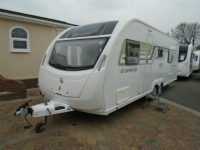 A well-designed five-berth family tourer, the 505 is light and spacious with a very modern feel. 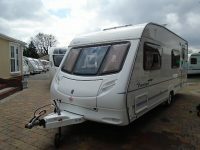 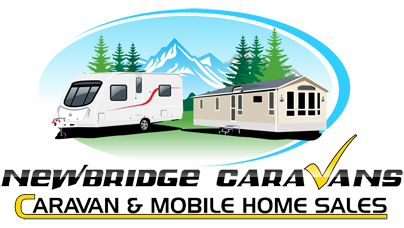 Three berths to the rear are great for our children, with a second living area which is a blessing when you have a couple of kids that converts to a double in addition to a lift up bunk. 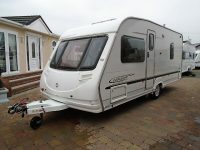 Television ariel /2 roof vents and 2 roof lights /alloy wheels /spare wheel /vanity cupboard, shower, toilet and sink.